Learn how to read tired signs in your baby and also, what an overtired baby looks like. 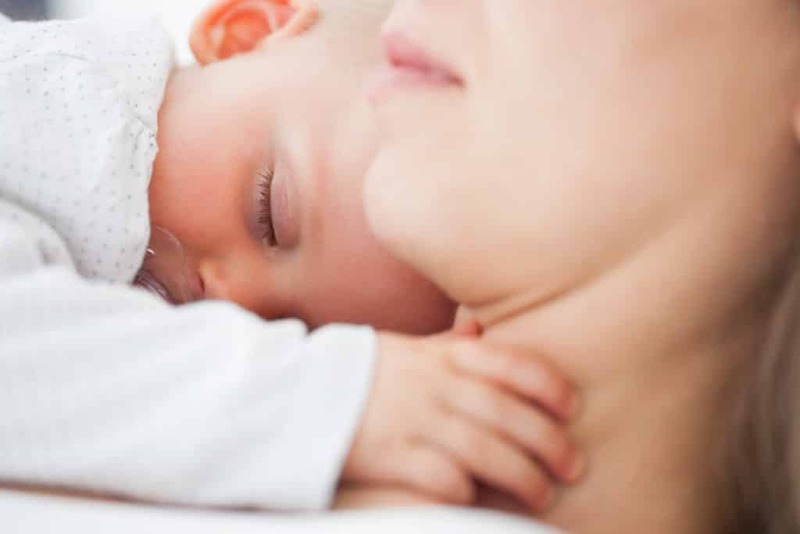 Achieving healthy sleep has to do with reading your baby’s cues when they’re nearing sleep and are tired, and putting them to be before they are overtired. A healthy, happy baby starts with regular sleep and putting your baby to sleep on time. Early on, learning to read baby’s cues when they’re tired and ready to sleep can be difficult. While babies cannot talk, the only way they know how to communicate is by crying and body language. Understanding the meaning behind different cries and sleep cues helps you respond to their needs and know when they’re ready for nap or bedtime. These visual cues will help you learn how to put baby to sleep on time, instead of when he’s overtired and prepared to fight sleep. 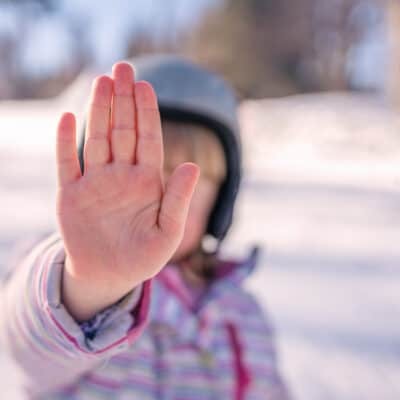 Crying, fussiness and acting unsettled is usually the last cue and you’re already to the point of being overtired when you see this behavior. The early signs of your baby telling you they’re tired are subtle and can be easy to miss. More obvious signs like crying, showing fussiness, flailing and being unsettled are indications you’re already past the point of sleep. Babies, especially newborn babies cannot stay awake very long however what’s most important, isn’t the length of time they’re awake, but putting them to sleep when you see the indications your baby is giving you that sleep is near. The length of time between naps and bedtime change often at this early age because of a baby’s rapid growth. Keeping babies awake too long makes them overtired and likely to fight being put down to sleep. Watching your baby and learning to understand their unique tired signs will help you know when it’s the best time to put him to sleep – and will also be the easiest time to fall asleep. Trust your momma instincts, you know your baby best and will know your baby’s tired signs the best. A well-rested baby will be the happiest and calm when they know you understand what they’re trying to tell you. A well rested baby is a happy baby, but also a healthy baby. In order to ensure your baby is getting enough restorative sleep, it’s important to develop a regular sleep schedule to stick to. 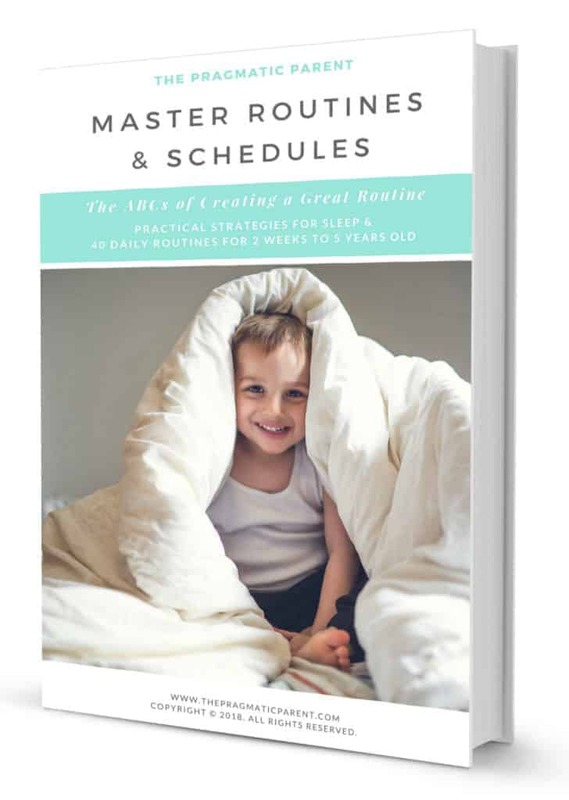 For a more thorough explanation and resource of keeping a routine, Check out the Master Routines & Schedules Ebook which is 70-pages of jam-packed information and 40+ sample routines. 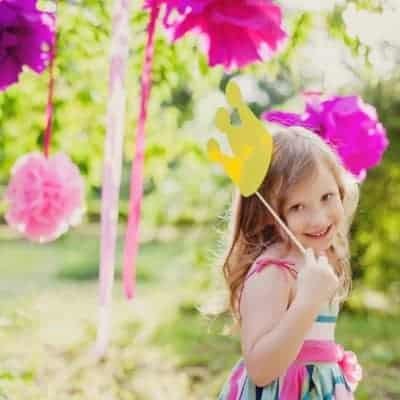 All the tools, sample schedules, sleep tracker and strategies for every age and stage of development for 2 weeks to 5-years-old. Learn how to start the process of creating a routine, establishing wake up and bedtimes, strategies for working through nap transitions, prepping for daylight savings time to keep your routine on track and logging your baby’s sleep patterns to rocking a solid schedule through every age of growth.